Thats all. Game finished - Caen 0, Angers 1. Second Half ended - Caen 0, Angers 1. New attacking attempt. Enzo Crivelli - Caen - shot with right foot from the centre of the box is saved in the right corner. Vincent Manceau - Angers - won a free kick in defence. Offside - Caen. Emmanuel Imorou with a pass, however Casimir Ninga is in offside. Emmanuel Imorou - Caen - won a free kick in defence. Substitution - Angers. Abdoulaye Bamba for Jeff Reine-Adélaïde. Corner - Caen. Conceded by Mateo Pavlovic. Shot blocked. Herman Moussaki - Caen - shot with right foot from the centre of the box is blocked. Assist - Jonathan Gradit. Shot blocked. Mateo Pavlovic - Angers - shot with the head from the centre of the box is blocked. Assist - Flavien Tait with a cross. Alexander Djiku - Caen - receive yellow card for a foul. 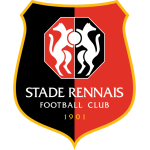 Jeff Reine-Adélaïde - Angers - won a free kick on the right wing. New attacking attempt. Flavien Tait - Angers - shot with right foot from outside the box is saved in the top centre of the goal. Assist - Pierrick Capelle. Missed chance. Claudio Beauvue - Caen - shot with the head from the centre of the box missed to the left. Assist - Faycal Fajr with a cross. Substitution - Caen. Herman Moussaki for Saif-Eddine Khaoui. Claudio Beauvue - Caen - won a free kick on the right wing. Substitution - Angers. Wilfried Kanga for Vincent Pajot. Pierrick Capelle - Angers - receive yellow card for a foul. Thomas Mangani - Angers - hits the right post with a shot with left foot from outside the box. New attacking attempt. Flavien Tait - Angers - shot with right foot from the left side of the box is saved by goalkeeper in the centre of the goal. Assist - Pierrick Capelle. Substitution - Caen. Claudio Beauvue for Prince Oniangué. Casimir Ninga - Caen - won a free kick in attack. Jessy Deminguet - Caen - receive yellow card for a foul. Substitution - Caen. Younn Zahary for Frederic Guilbert. Enzo Crivelli - Caen - won a free kick on the left wing. Goal! Caen 0, Angers 1. Jeff Reine-Adélaïde - Angers - shot with right foot from few metres to the centre of the goal. Assist - Pierrick Capelle. Shot blocked. Pierrick Capelle - Angers - shot with right foot from outside the box is blocked. Assist - Flavien Tait. Enzo Crivelli - Caen - won a free kick in attack. Alexander Djiku - Caen - won a free kick in defence. Enzo Crivelli - Caen - receive yellow card for a foul. Corner - Angers. Conceded by Jonathan Gradit. Prince Oniangué - Caen - receive yellow card for a foul. Missed chance. Vincent Pajot - Angers - shot with the head from the centre of the box is very close to the goal. Assist - Flavien Tait with a cross . Offside - Caen. Prince Oniangué with a pass, however Casimir Ninga is in offside. Shot blocked. Faycal Fajr - Caen - shot with right foot from outside the box is blocked. Faycal Fajr - Caen - won a free kick in attack. Second Half starts Caen 0, Angers 0. First Half ended - Caen 0, Angers 0. Jeff Reine-Adélaïde - Angers - hits the bar with a shot with right foot from the centre of the box. New attacking attempt. Flavien Tait - Angers - shot with left foot from the centre of the box is saved in the left corner. Thomas Mangani - Angers - won a free kick in attack. Shot blocked. Farid El Melali - Angers - shot with right foot from the right side of the box is blocked. Assist - Flavien Tait. Missed chance. Vincent Manceau - Angers - shot with right foot from the right side of the box missed to the left. Assist - Farid El Melali. Missed chance. Saif-Eddine Khaoui - Caen - shot with left foot from the centre of the box missed to the left. Assist - Enzo Crivelli with a cross. Substitution - Angers. Farid El Melali for Cristian - injury. New attacking attempt. Saif-Eddine Khaoui - Caen - shot with left foot from the right side of the box is saved in the right corner. Assist - Enzo Crivelli. 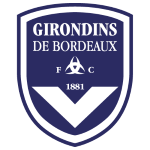 Delay in match Cristian - Angers - - injury. Delay in match Jessy Deminguet - Caen - - injury. Missed chance. Cristian - Angers - shot with right foot from outside the box missed to the left. Flavien Tait - Angers - won a free kick in defence. 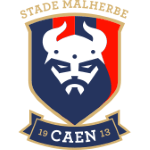 Saif-Eddine Khaoui - Caen - won a free kick in defence. Corner - Angers. Conceded by Emmanuel Imorou. Missed chance. Faycal Fajr - Caen - shot with right foot from outside the box goes high from a free kick. Corner - Angers. Conceded by Alexander Djiku. 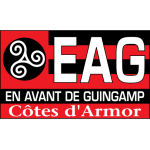 Delay in match Frederic Guilbert - Caen - - injury. New attacking attempt. Thomas Mangani - Angers - shot with left foot from the centre of the box is saved in the top centre of the goal. Assist - Vincent Pajot with a through ball. Delay in match Saif-Eddine Khaoui - Caen - - injury. Shot blocked. Jessy Deminguet - Caen - shot with right foot from outside the box is blocked. Faycal Fajr - Caen - won a free kick on the right wing. 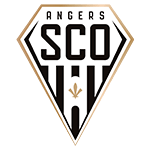 Get real-time football commentaries and full coverage for the Ligue 1 match Caen vs. Angers Sco, powered by Scorenga.co.uk. This page is dedicated to one of the most exciting Ligue 1 clashes. Here you will find a summary of the game, standings and photos.